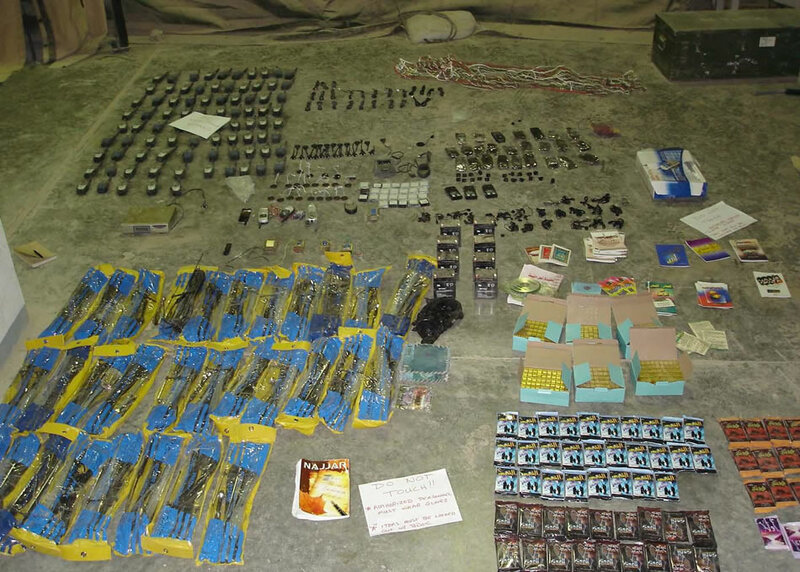 Communication equipment, enemy propaganda, pre-made roadside bombs initiators, and various roadside bomb components were discovered March 8 by elements of 1st Battalion, 67th Armor Regiment, 2nd Brigade Combat Team, 4th Infantry Division. Photo by Cpl. Michael Molinaro, 2nd BCT PAO, 4th Inf. Div.